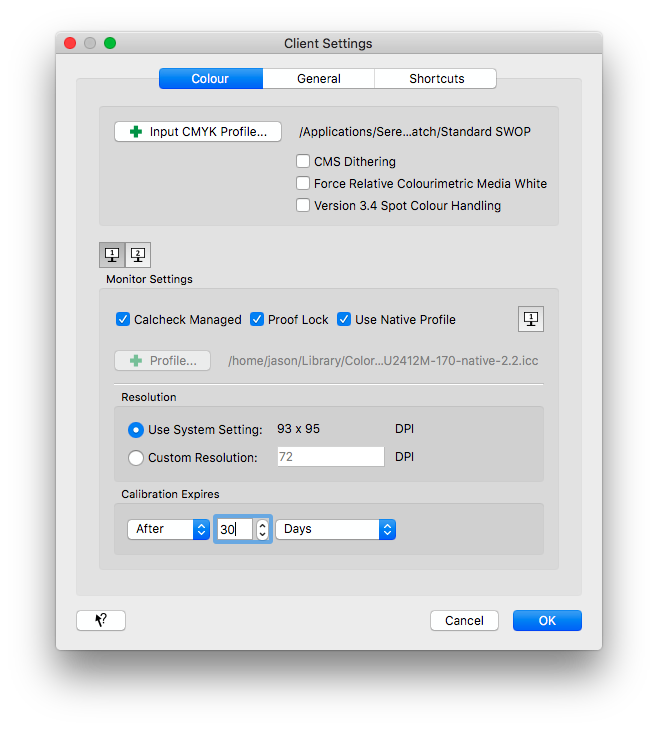 Serendipity Blackmagic / Veripress 7.1.01+ includes a Proof Lock feature in Client Settings. Proof Lock allows Veripress / Blackmagic (w/Soft Proofing Add-on) system administrators to configure the Serendipity Client to disable the SoftProof window when the display needs calibration, or has failed to meet the required the colour standard for on-screen proofing. Tick the Proof Lock checkbox to turn it on. When enabled, the SoftProof window is blocked by a red ‘X’, when the display meets one or more of the conditions detailed below. A message informs the user that soft proofing has been disabled, the reason(s) involved, and a course of action to restore soft proofing functionality. 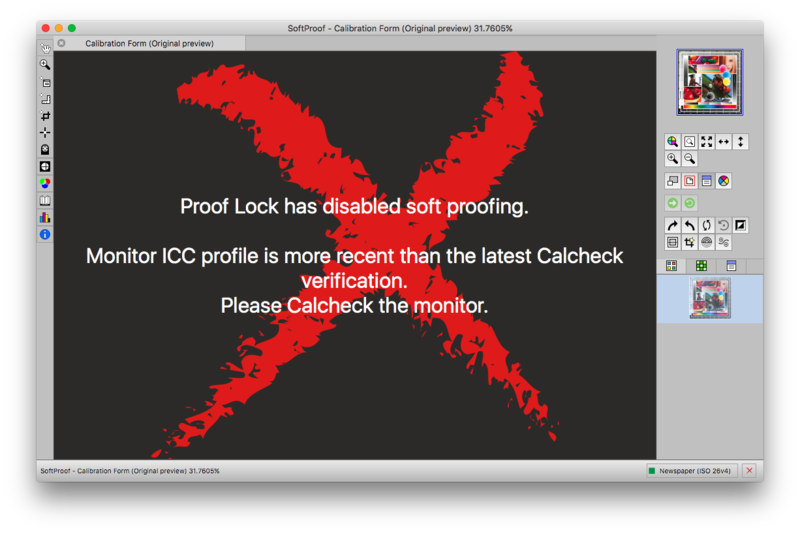 The monitor has not been Calcheck verified using the Displays application. 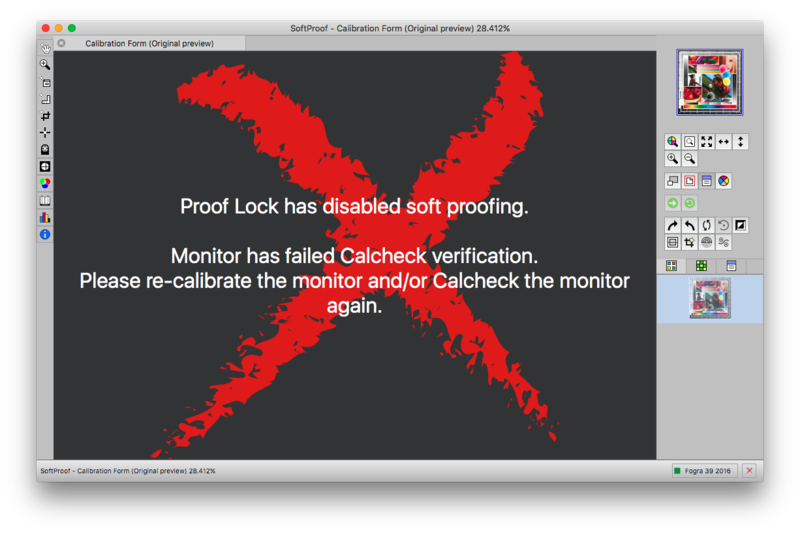 The monitor has failed Calcheck verification and does not meet the required colour standard. The assigned monitor ICC profile has exceeded the expiry time set in the Serendipity Client Preferences. 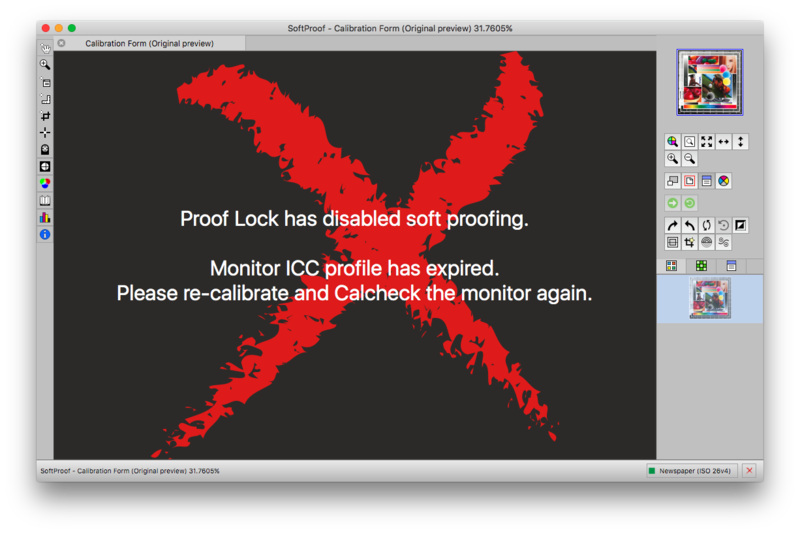 The monitor ICC profile (Calibration) is more recent than the latest Calcheck verification. This entry was posted in Blackmagic, HowTo, Serendipity Client, Veripress and tagged Version 7.1.01+. Bookmark the permalink.